And just like that – a few days from racing, folks! I decided to type some thoughts out about my training this time around. I opted to keep training “mine” this cycle and not publish weekly training recaps. I’m not sure any of you (the two people reading this) read them in the past, but I really like looking back at them, as a reality check before a goal race. As a runner, sometimes you can walk a fine line between over-obsessing over every minute detail of each and every run and having a healthy mindset about training, between reflecting backward and looking forward. This time, I decided to employ my short term memory each week and spend less time looking behind me – I focused on executing each workout on the schedule as much as I could. So, this post will serve as a small dose of reflection leading up to Bayshore (more for myself than for anyone reading). Last year I coached myself 100%. This year (a lil’ secret of mine), I purchased a training plan from a coach I’ve been following on Twitter for years. I’ve been coached one-on-one before and I really enjoyed it. I think I excelled with having a coach in my corner and someone that I could reach out to with every type of silly question to be asked. It’s nice to have that kind of support system – and an external viewpoint on how training is actually going (to balance the internal one that can be a wee bit dramatic). I made the decision to coach myself last year because I wanted to experiment a bit, figure out what kind of training I enjoyed and what I needed most before possibly hiring a coach again. I *really* liked coaching myself but , just with any other kind of coaching relationship, there was a period where I was just trying to figure things out. You find yourself second-guessing the training plan that you put together yourself, mostly based on gut instinct, loosely based on past training plans and books you’ve read. But once you get over that hurdle and become comfortable with 1) listening to yourself and actually believing that you are capable and 2) making minor changes to the plan that you’ve created, just as a coach would, it’s actually really freeing. I’m very proud of the fact that I ran a half marathon PR and marathon PR in 2014 – both as my own coach. My mindset began to shift in January this year when I started thinking about spring half plans. Besides a lonnnnnnng recovery period after Honolulu (2 weeks off exercise, 7 running miles the 3rd week), I felt like I wanted a schedule with some workouts that I’d never tried before. I could have written up a unique training plan on my own, but it likely would have been more ‘comfortable’ than a plan created by someone else. I knew I could motivate myself to get the training done, having done it 100% on my own all last year. I just needed a little push from someone else, with fresh & “new” workouts to make me excited to train again. I really liked the plan I received. It was personalized, incorporated two races I’d already registered for, and had me feeling stronger each week. Getting back into training mode was much more difficult mentally and physically for me this year – I was honest with the coach creating the plan that I needed a slow ramp up and that it would take me a solid 5-6 weeks for my legs to come around. I think no matter what kind of coaching situation you’re in (self, one-on-one coach, or following a plan), you have to be honest about your current situation. Getting back to a training cycle felt like pulling teeth there for awhile. And then it very slowly started to click again. (This is *definitely* correlated to the change in weather – I begrudgingly forced myself to the gym in Jan & Feb, but started to feel more motivated to train in March when the weather slightly improved.) I worked up to a solid base in January and February (up to 40 mpw) and then began a 12-week half plan at the beginning of March. We’re nearing the end of “Runch Season” now that the temps are increasing! April 12: Cherry Blossom 9.5 Miler (Ha) – Shamrock Shuffle and Cherry Blossom were built into the training plan as workouts – they both felt really tough for different reasons but I felt like being able to sustain tempo pace for 9.5 miles when I’d only tempo’d for 3ish miles in the weeks leading up to the race was a big win [9.5 miles at 6:50 average). 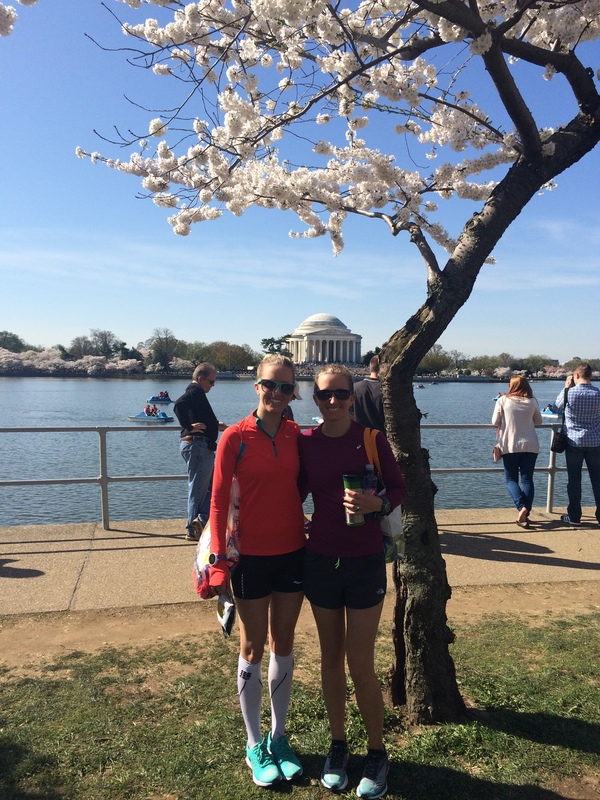 Besides, it was just a gorgeous day to run in DC with my sis! April 18: BEST long run! [17.22 miles at 7:32 average] I was so sleepy going into this run, so I was shocked when I reached the lakefront feeling like I could run for days. The wind was pretty bad going north and gave me a wind-aided fast finish once I turned southbound, with the last 6 miles under 7:15 pace. After this run, I wrote this in my training log: “Things are clicking again! Rustbusters Shamrock and Cherry Blossom apparently worked their magic. Sat’s long run felt amazing – I know wind helped finish but my legs felt strong”. 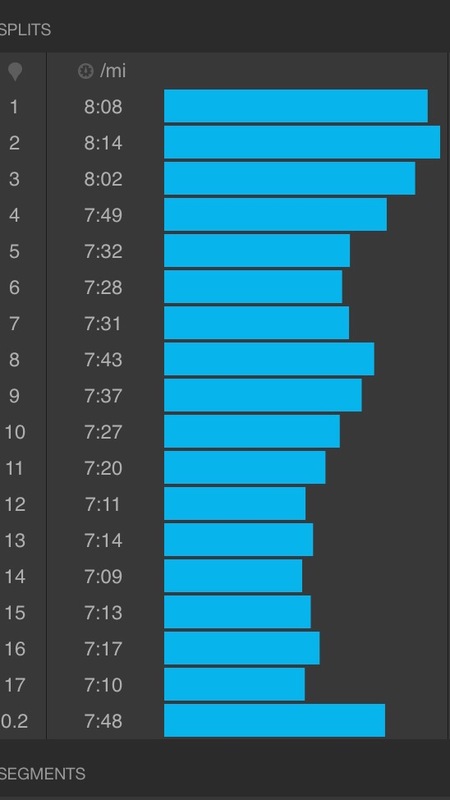 My longest run of the cycle was 18 miles, but this one just felt the smoothest. CUE RUNNER’S HIGH. It’s funny how the simplest workouts seem like the best ones at the end of a cycle. In fact, none of my workouts this time around were all that complicated. 5 runs per week – 2 easy, 1 tempoish, 1 speedish, and 1 long run (pretty much what I’ve done the past 18 months). Week 50 is the Honolulu marathon with my sister. Bayshore training didn’t begin until Week 10 and the base building in weeks 1-9 included all easy miles with only short tempo or speed intervals. 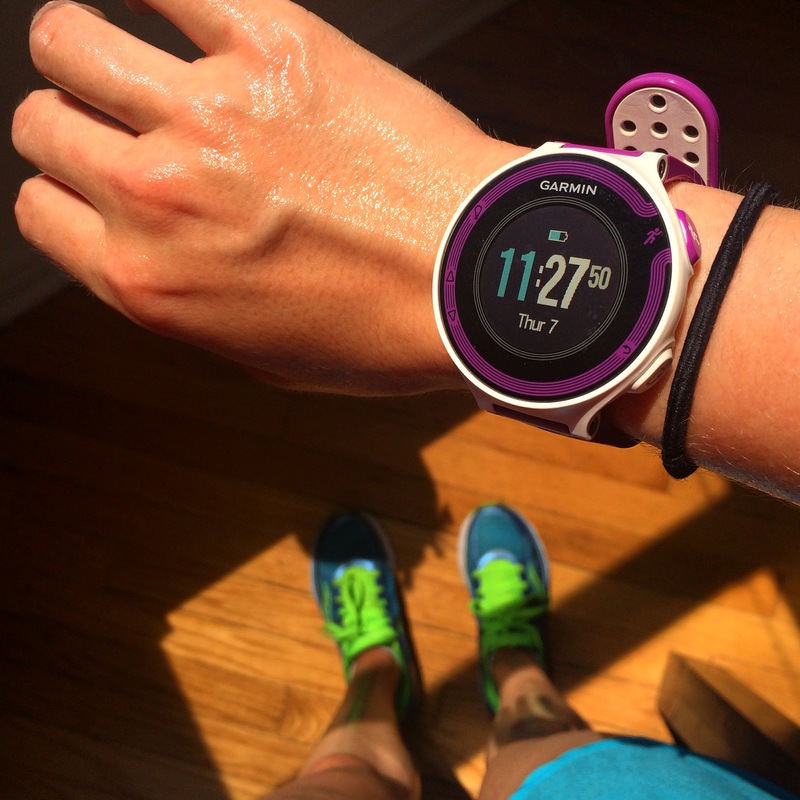 I’m not a high mileage runner – I’ve only peaked at 60 mpw during marathon training. At this point, 40-50 mpw is a range that I feel comfortable running. I don’t really remember finishing any week with trashed legs, but just like I put in some good work. I’m anxious to see how this fitness translates into training for Chicago over the summer and into the fall! You will no doubt do so well at Bayshore! So excited for you. And now I’m so curious about the plan you bought and the coach whose services you used (though I have a guess!). Have so much fun this weekend!! I wonder about coaching too, always having been self coached. And would love to know which coach you selected!